Luxurious. Sporty. Powerful. Precise. Safe. The Porsche Cayenne encompasses all these attributes – and more. 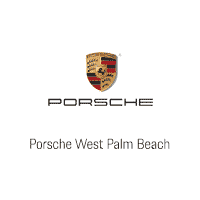 In years past, diehard Porsche fans vowed they wouldn’t get behind the wheel of an SUV from their favorite automaker. Time changed their minds. Or more accurately, the Cayenne changed their minds. The idea of a Porsche SUV was met with mixed feelings. But when the Cayenne rolled out in 2002, its performance, handling, and power erased all doubts. If you want excitement and an exceptional driving experience – all in a family- and gear-friendly package – check into Porsche Cayenne lease specials or purchase deals ASAP. Note: These figures are for the base 2016 Cayenne. Upgrades, including the Turbo S, GTS, and Hybrid are available for boosted performance. Active All Wheel Drive. In rear wheel autos, power is directed to the rear wheels, while the front wheels handle steering. By contrast, in all-wheel vehicles, power is directed to all four wheels. This improves traction and drivability in less than stellar conditions, such as ice, snow, and bumpy back roads. 8 Speed Tiptronic Automatic Transmission. The Cayenne automatically shifts gears, adapting to your driving style for the most responsive ride possible. In addition, this feature improves fuel efficiency while increasing agility and comfort, especially at higher speeds. Auto Stop/Start Function. When you come to a stop and keep your foot on the brake, your Cayenne will automatically stop its engine. While you are idling, you do not waste fuel. When you’re ready to get going again, simply release the brake, and your engine will automatically restart. This feature also kicks in when you approach traffic lights. Don’t worry: everything you need for a comfortable ride – climate control, audio, hands-free communication, navigation, etc. – remain operational as long as there is sufficient energy stored in the battery. If not, the system simply switches the engine back on so it’s always all systems go. Coasting. The Cayenne offers the fuel-saving ability to coast in certain situations, such as when you take your foot off the gas pedal in order to gradually reduce your speed. Porsche Traction Management (PTM). A multi-plate clutch ensures optimal distribution of force between the rear and front axles. PTM continuously monitors driving conditions so it can respond appropriately. For example, when you corner, engine torque is distributed to the front wheels for added stability. Porsche Dynamic Chassis Control (PDCC). Worried about tight corners? Don’t be. This anti-roll system anticipates and reduces lateral body movement and minimizes sway on a variety of less than ideal terrains for enhanced safety. Porsche Torque Vectoring Plus. PTV Plus enhances dynamics and stability by varying torque distribution to the rear wheels. It selectively applies brake pressure thus optimizing steering response and precision. Off-Road Capability. What good is an SUV if you can’t take it off-road for adventure? You can select different driving modes, depending on your needs and the terrain. In addition to normal operation, opt for Off-Road Mode 1 for exceptional traction. Off-Road Mode 2 is even better on difficult terrain. Off-Road Mode 3 rivals billy goats. (Ok, maybe not quite, but still, you’ll traverse roads, trails, and paths that few cars can handle). Lane Departure. If you begin to stray outside your lane when traveling at speeds of 40mph or greater, your Cayenne keeps you on the straight and narrow with an audible warning signal. Lane Change Assist. This monitors the space behind your car, as well as the blind spots so you can change lanes safely and efficiently. Surround View. High-res cameras provide a birds-eye view of your car and displays so you can park, maneuver, and navigate obstacles with ease. ParkAssist. Parallel parking strikes fear into the hearts of even the most veteran drivers. Not anymore. This feature alerts you to obstacles so you can master this art – and snag the best spots. Communication Management. Control your audio, navigation, and communication functions with a system that includes a 7-inch multi-touchscreen and intuitive commands. This car is built to perform. 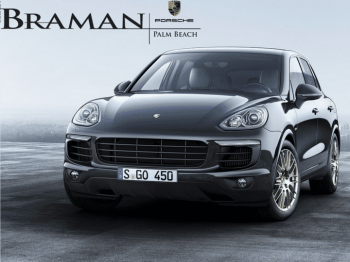 Check out great Porsche Cayenne lease specials so you can get behind the wheel and experience real driving excitement.